Outstanding scenery is a hallmark of Bent Creek Winery. Located in the rolling hills southeast of Livermore, the winery boasts a backdrop of an oak-dotted ridge, the expanse of vineyards, and a stunning view of the valley. Although still convenient to the ever-attractive downtown Livermore scene, you’ll feel light years away. Believe it or not, Bent Creek Winery was founded by four local educators. Pat and Tom Heineman taught in the Livermore school district and didn’t have plans to turn their country land into a winery. Then they met Carol and Rich Howell. Carol was also a public school principle, while Rich was a physicist at Lawrence Livermore National Laboratory. The neighboring Wente Vineyards helped the couples start their own vineyard, and true to their roots, they took winemaking classes at UC Davis. In 2002, Bent Creek Winery was founded. You very well could be greeted by one of the founders when you go for a tasting—and they’re sure to teach you something new! Bent Creek Winery offers award-winning wines from the Livermore Valley, Mendocino County, the Central Coast and Amador County. The 2013 Livermore Valley zinfandel, a brilliant, sparkling scarlet with hints of Bing cherry, is a great one to try. It won Double Gold Medal: 2016 San Francisco Chronicle Wine Competition and Gold Medal: 2016 Alameda County Wine Competition. The 2011 Livermore Valley Syrah won the Gold Medal: 2014 San Francisco Chronicle Wine Competition. Another Double Gold Medal 2015 winner is the 2012 Livermore Valley Cab Sauv. Bent Creek’s Ports are also notable. For example, the 2012 Livermore Valley Zinfandel Port won Double Gold Medal: 2012 San Francisco Chronicle Wine Competition. 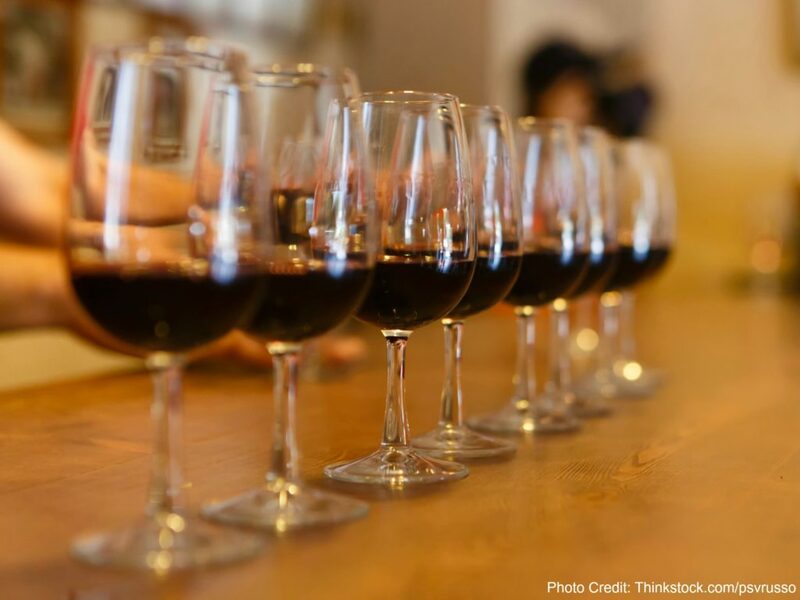 Of course, the first thing you’ll want to do is plan for a tasting. There is a tasting fee of $10.00 per person. During your visit this fee can be applied to the purchase of any bottle of Bent Creek wine. April 16 – 17 Tax Relief Weekend. Club members are treated to Carol’s semi-famous Ohio Chili. All guests will enjoy jazz with Matt Finders and the Two Guys! Spin the wheel to get that extra discount on wine. Why not treat yourself to a spring Livermore getaway? Indulge in one of our spa treatments, try some of Livermore’s outstanding restaurants, and enjoy a tasting at Bent Creek Winery. Our free Livermore vacation guide can help you plan your stay!